When planning major industry events such as conventions or tradeshows, there are thousands upon thousands of guests that you need to worry about accommodating. This also means making sure that any VIPs have designated transportation at any given time. However, this doesn’t have to just be a VIP limo, since there are additional options such as luxury SUVs or sedans. Our team will help organize a fleet of of vehicles, including VIP limos for your guests who need them. Besides creating transportation accommodations for any VIPs, we specialize in getting every single one of your event guests where they need to be on time with extremely extensive shuttle service. There are of course VIP transportation options available as mentioned, along with airport transportation, and sponsorship opportunities. If a company wants to highlight an exciting new product that’s around the corner, they can invest in full size shuttle wraps to let every attendee know what’s coming. 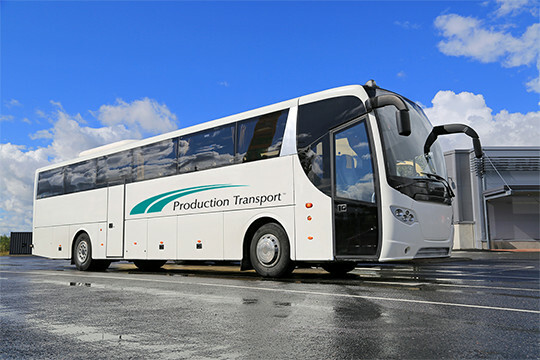 Since 1982, the team at Production Transport has been working with convention planners and trade show organizers to help run some of the largest industry events in the United States and Canada. We only source the most reliable drivers, whether they’re operating a shuttle, a VIP limo, a luxury SUV, or any other vehicle that helps ensure your event goes off without a hitch. We create detailed driver manuals that we distribute to every member of the team, and our on-site managers will deal with any unexpected transportation issues that may arise for VIPs or any other guests.